By September 1st, 2022, automatic emergency braking (AEB) will be standard in “more than 99 percent” of the United States auto market. The National Highway Traffic Safety Administration (NHTSA) and the Insurance Institute for Highway Safety (IIHS) recently announced that 20 automakers agreed to the notion, a major step forward in overall automobile safety. 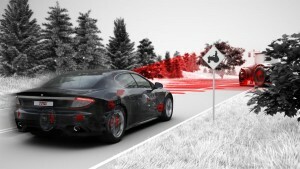 Automatic emergency braking utilizes sensors capable of recognizing obstacles such as a pedestrian or other vehicles in order to prevent accidents before they happen. While the technology is already installed in many cars, 2022 represents the first year that automatic emergency braking will essentially go mainstream in the majority of vehicles in the US. Tesla and Audi are just two of the 20 automakers already signed to the agreement.